Monday, February 1, 1:30 pm. Testimony for Non-Toxic Pest Management and Spraying. 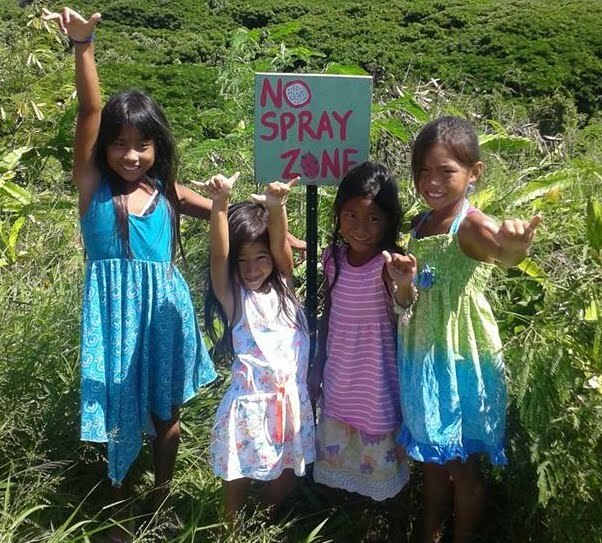 Do you want herbicides to continue to be sprayed in public areas, like schools? County of Maui Council Chambers, Wailuku. 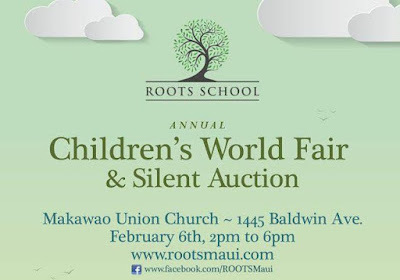 Saturday, February 6, 2 pm – 6 pm. 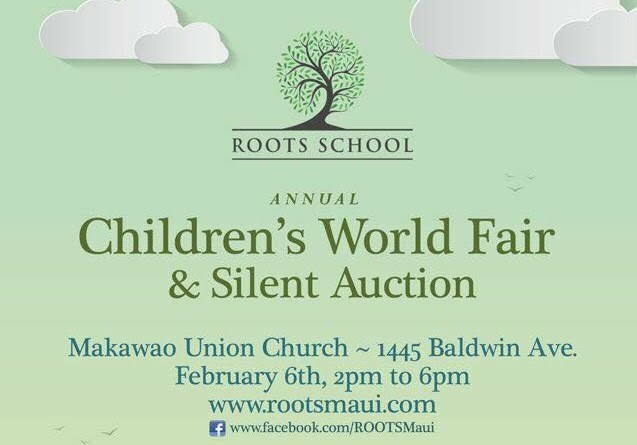 Children’s World Fair & Silent Auction for Roots School. Makawao Union Church. Food, games, crafts, face painting. FREE! Saturday, February 6, 5 pm – 8 pm. Maui Open Studios Opening Event. Mingle with artists, pick up an art studio guidebook, and preview art. Pa‘ina Culinary Arts Center, UH Maui College. FREE! Saturday, February 6, 7:30 pm. ArT=Mixx: xoNATURE. 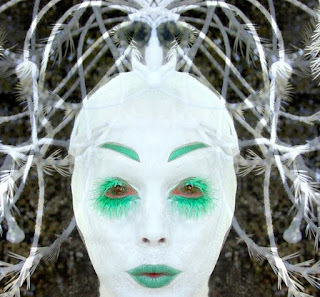 A fusion of performance and visual art with music and dancing. For 21 and older. MACC, Wailuku. FREE. Sunday, February 7, 1:30 pm. The Big Game – Watch the Superbowl at the MACC. Live music by Willie K before the game. 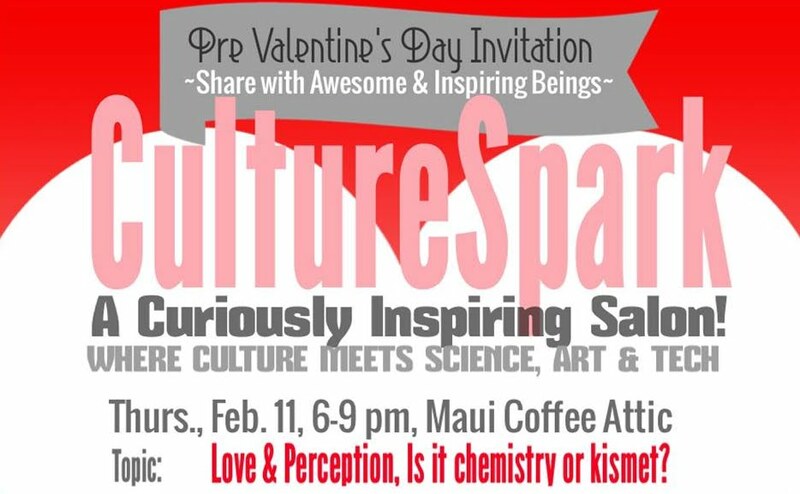 MACC, Wailuku, FREE. Thursday, February 11, 5 pm – 8 pm. A Chocolate Feast at Oceanside Restaurant. Ma‘alaea. 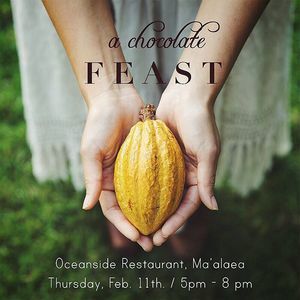 A memorable dining event featuring locally-sourced, bean to bar chocolate. $99/person. Thursday, February 11, 6 pm – 9 pm. 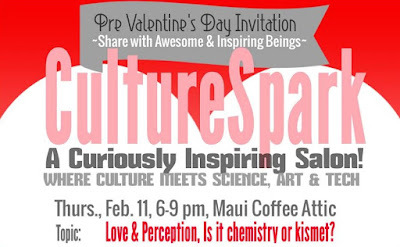 CultureSpark: A Curiously Inspiring Salon Where Culture Meets Science, Art & Tech. Love & Perception: Is it Chemistry or Kismet? Suggested donation $15+ or love : ) Maui Coffee Attic, Wailuku. Friday, February 12 – Tuesday, Monday 15. 10th Annual Whale Tales. Four-day educational event full of presentations, whale watches, receptions, and opportunities to meet whale researchers. Ritz-Carlton, Kapalua. Saturday, February 13, 7:30 am – 1 pm. Maui Plein Air Invitational – Lahaina Harbor Kick Off Paint Out. Invited artists paint at the Lahaina Harbor from 7:30 am – 11:30 am, then finished works on display from 11:30 am – 1 pm at the Pioneer Inn, Lahaina. Saturday, February 13, 10 am – 7 pm. Chinese New Year Celebration in Lahaina. Free day –long celebration with traditional lion dance, kung fu demo, crafts, and presentations on the history of Chinese New Year. Wo Hing Museum, Lahaina. FREE! Saturday, February 13, 9 am – 2 pm. Chinese New Year Festival in Kahului. Tai chi, Lion Dance, children’s attire contest, and entertainment. Maui Mall. Saturday, February 13, 5:30 pm – 9 pm. Martini Time. 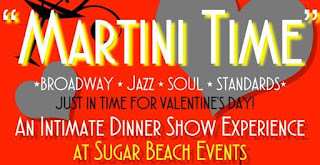 Intimate dinner show with 4 course meal and entertainment by Eric Gilliom. $99/person. Saturday, February 13 – Sunday, February 14, 11 am – 6 pm. Maui Open Studios Weekend One. Grab a guidebook and visit artists’ studios in Upcountry Maui. FREE! Saturday, February 13, 9 am – 6 pm. 36th Annual World Whale Day presented by Pacific Whale Foundation. One of the largest community festivals on Maui, with craft fair, parade, booths, music, Keiki Carnival – celebrating whales. Kalama Beach Park, Kihei. Monday, February 15. Attend Opening Night of TED 2016 – Live broadcast. Attend TED’s inspiring conference without leaving Maui. Livestreaming event at the Regal Cinemas, Maui Mall, Kahului. $20 + fees. Monday, February 15 – Sunday, February 21. Maui Plein Air Invitational continues with events throughout the week. Tuesday, February 16, 3:30 pm – 10:30 pm. 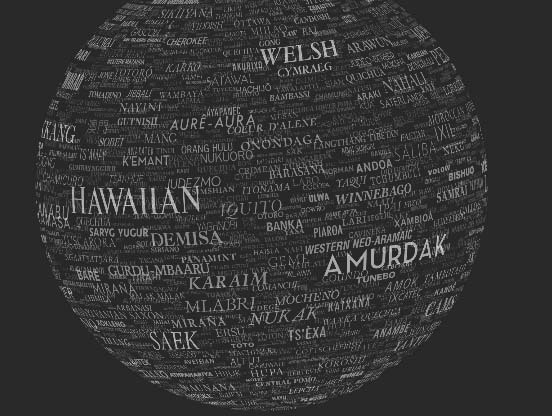 Attend the full 2nd day of the TED Conference – Live Broadcast on Maui. Experience the inspiration of TED speakers and performers without flying anywhere. First 40 tickets are free for those who commit to watching the entire schedule. Maui Research and Technology Center, Kihei. FREE! Thursday, February 18, 6:30 pm. Film Screening: Voyage: Into the Depths of Kanaloa. A 10-day open sea voyage made by high school students. Keōpūolani Hale, Kamehameha Schools Maui campus, Pukalani. FREE! Friday, February 19, 7 pm. 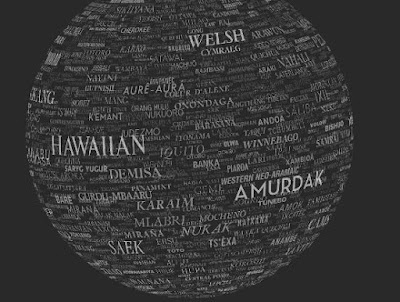 Hawai‘i: Language Matters: An evening celebrating the mana (power) of a living Hawaiian language. Presented by Merwin Conservancy. MACC. $25, or $10/students. Saturday, February 20 – Sunday, February 21, 11 am – 6 pm. Maui Open Studios Weekend Two. Grab a guidebook and visit artists’ studios on the North Shore and in Central Maui. FREE! Friday, February 26 – Sunday, February 28. Times unknown. Paia Mural Painting Project in the main Paia Parking Lot on Hana Highway. Details unknown. It’s Paia, so anything could happen! 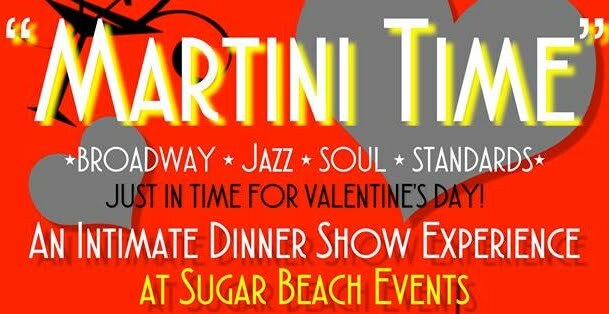 Saturday, February 27, 5 – 10 pm. 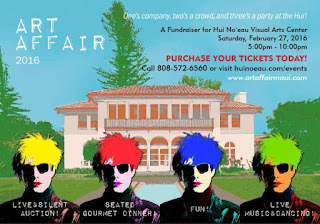 Art Affair 2016: Andy Warhol – Celebrate Your 15 Minutes of Fame at the Hui! The Hui No’eau Visual Arts Center signature gala with dinner, music, and art auction. Hui No’eau, Makawao. Saturday, February 27, 10 am. Observe and Play Family Day. Guided walk through of the current exhibition (Statements on Nature), an opportunity to make a small print to take home. MACC, Wailuku. FREE. Saturday, February 27 – Sunday, February 28, 11 am – 6 pm. Maui Open Studios Weekend Three. Grab a guidebook and visit artists’ studios in South and West Maui. FREE! Saturday, February 27. Great Whale Count. 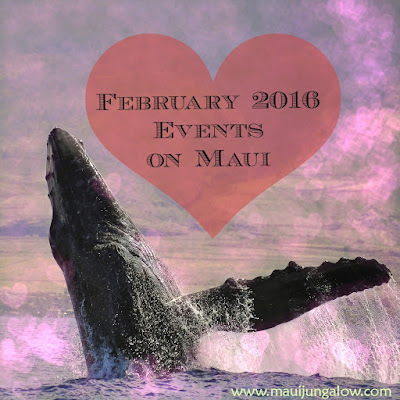 Serve as a citizen scientist: participate in counting and observing whales on this day at certain locations on Maui. Must pre-register online. FREE!